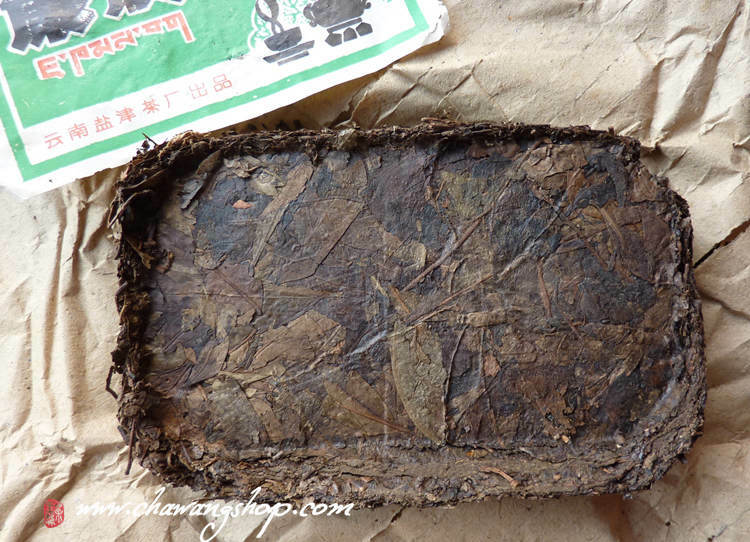 This aged dark tea brick was made from Yunnan large leaves varietal tea. 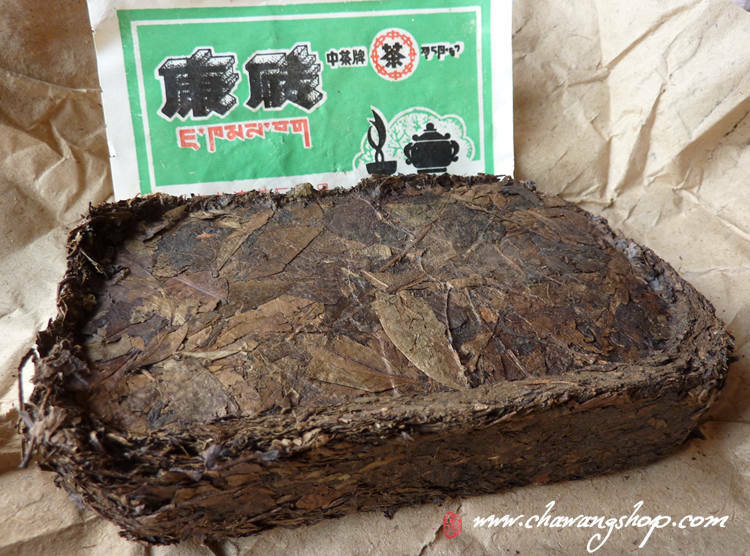 Kang zhuan - brick made for Tibet, is mostly made in Ya' an city in Sichuan. 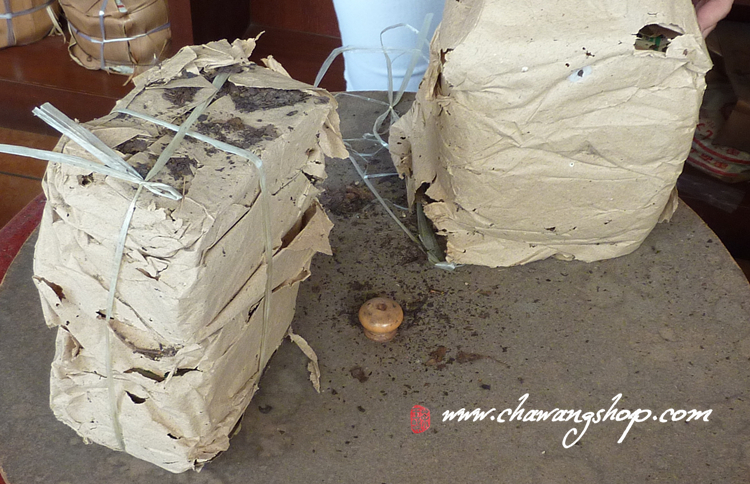 After special fermentation procesing was tight pressed to 500g brick. 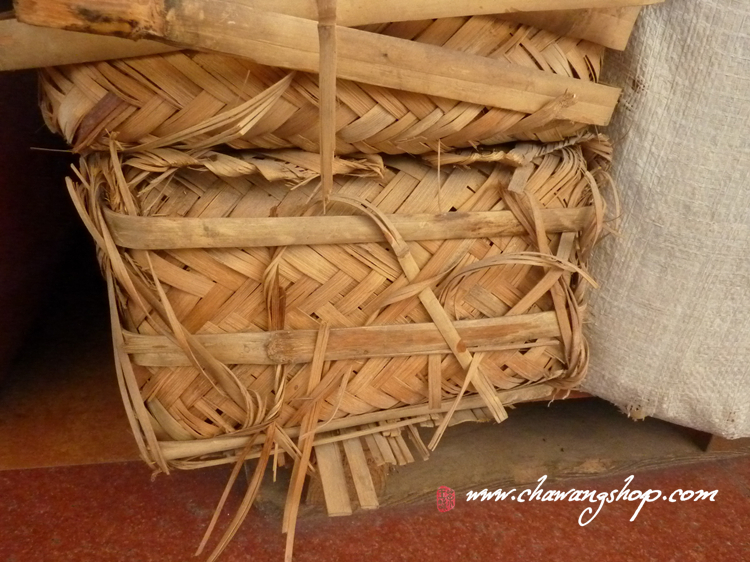 One bamboo bakset have 60 bricks, 5 bricks are tied, every brick is wrapped in paper, every brick have neipiao. 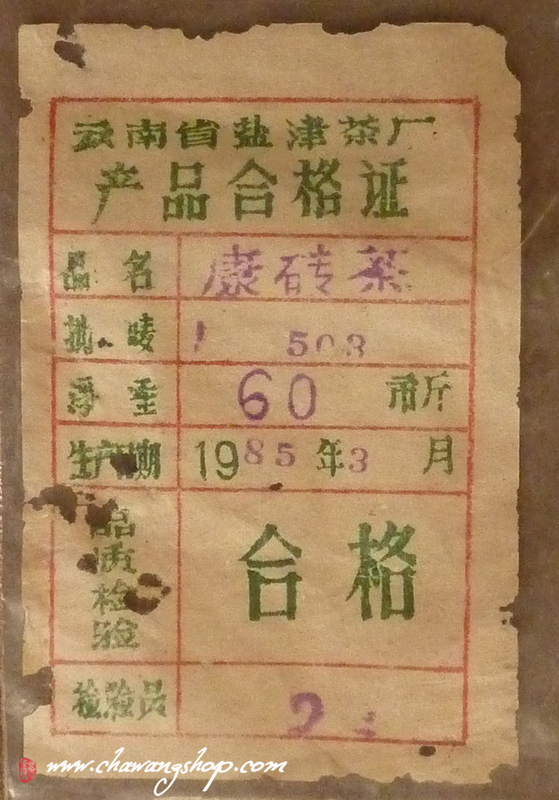 One box has one dapiao with date in produced. 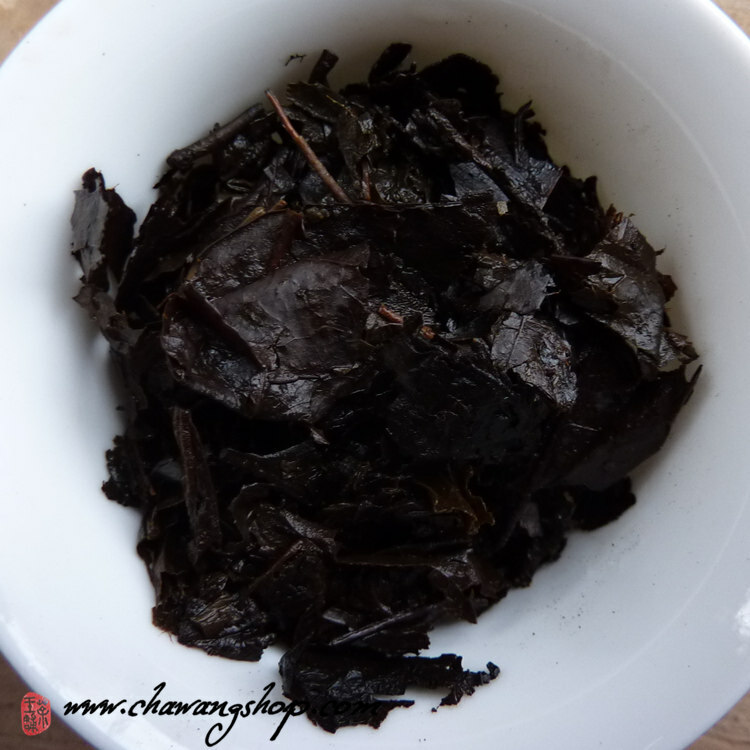 This kang zhuan is one of best heicha we've ever tasted and also the best one which we can offer for sale with relative inexpensive price. 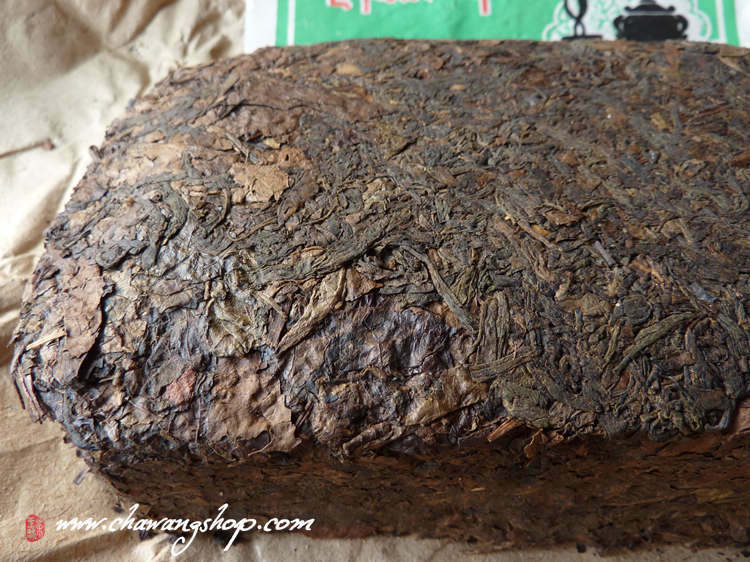 This tibetan brick is triple the price of many other similar brick from Sichuan. 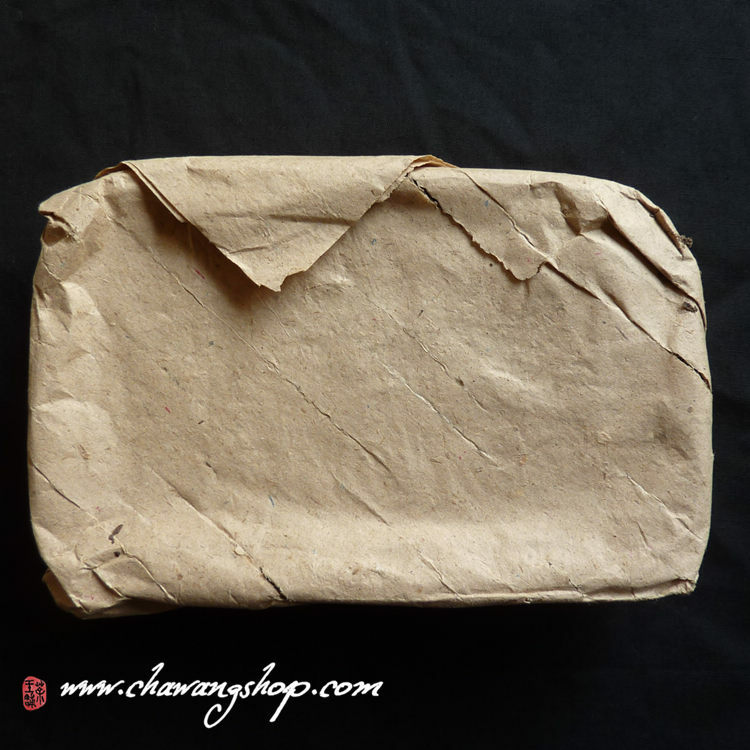 -This tea was stored very well all the time - in neither too wet nor too dry storage without mold or any other bad things ; Taste of this tea is similar with aged sheng puerh tea. 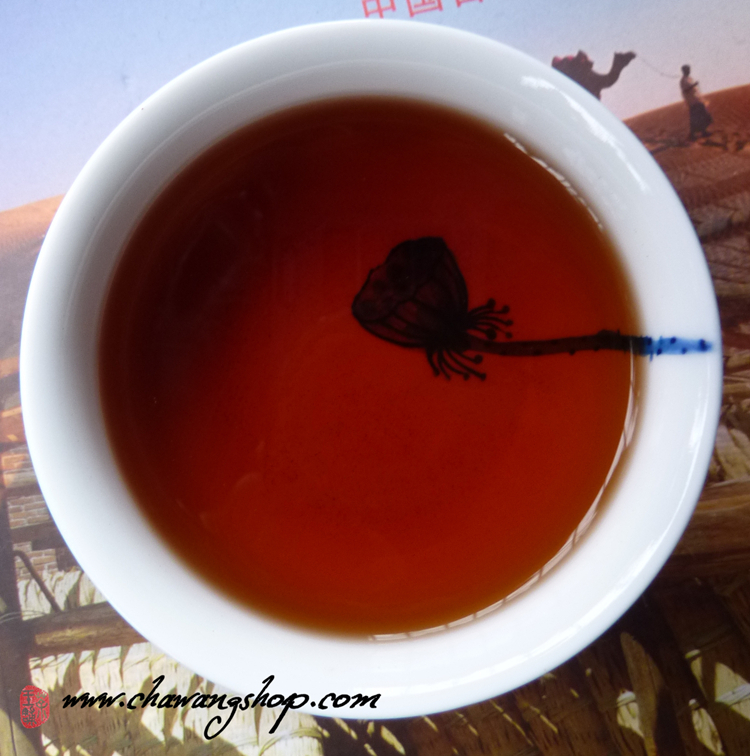 Certainly, the same aged sheng puerh tea is much more expensive. 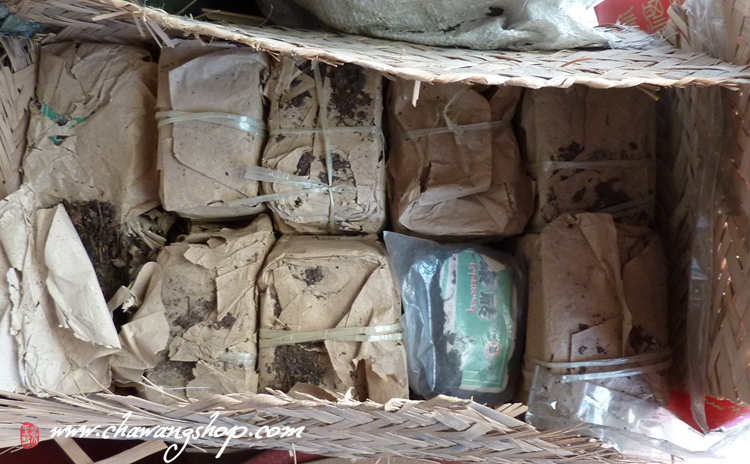 We compared this brick with early 90' s Sichuan bricks and this tea win in all the ways. 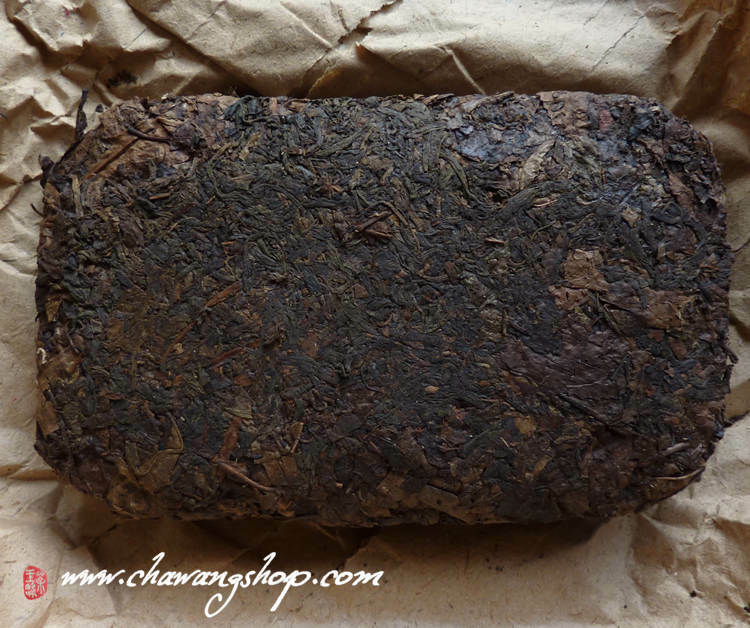 For puerh, heicha collectors and CNNP lovers, this brick is rare and most collectable. Ready to drink now! 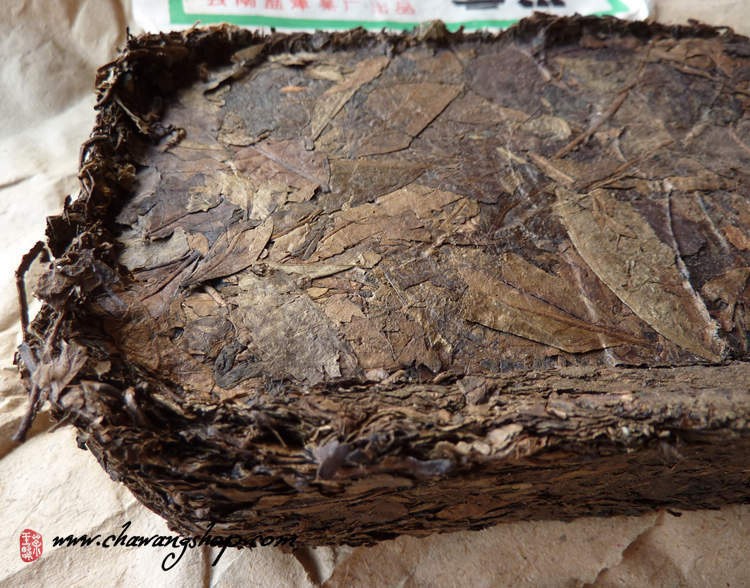 We offer 1 brick which have 500g or 10g sample.